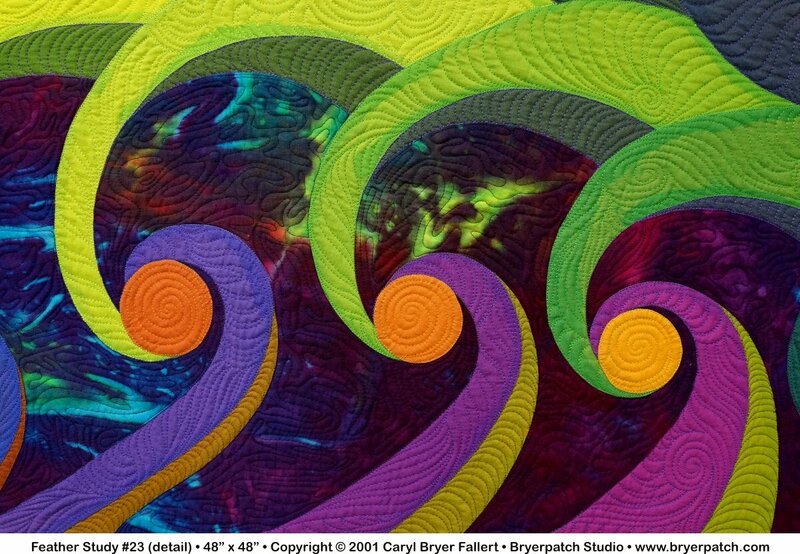 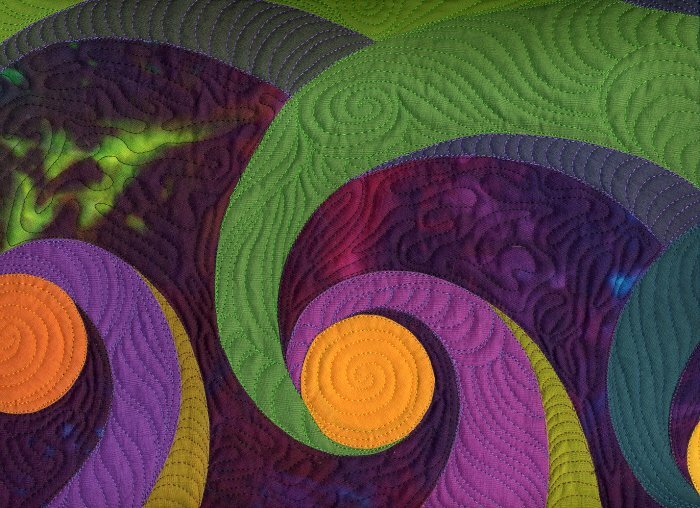 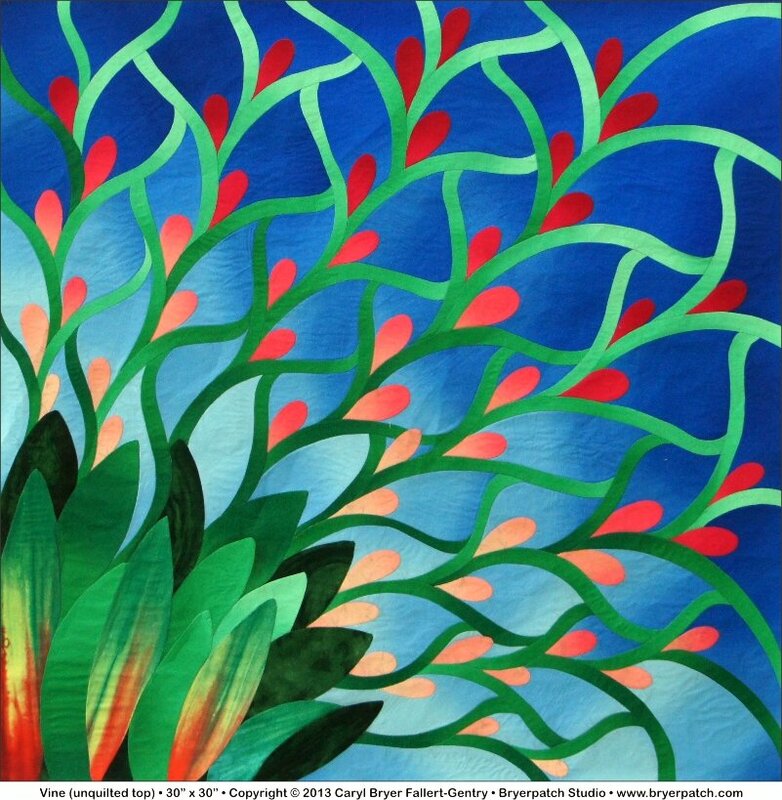 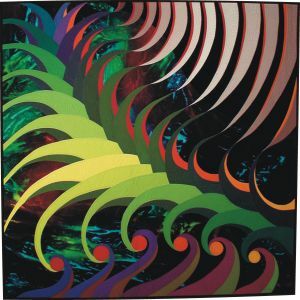 This quilt is one of a series of quilts based upon original drawings of fantasy feathers. 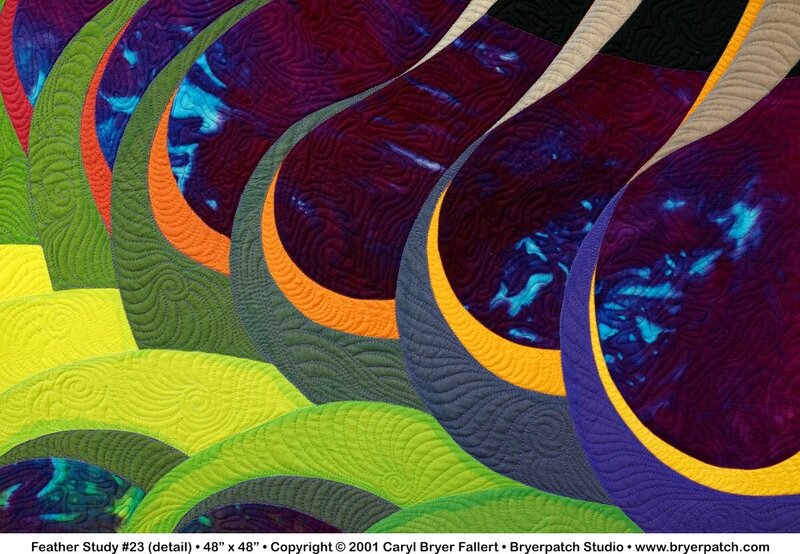 In this quilt I have combined many fabrics dyed in color and value gradations on a background of multicolored hand painted fabric. 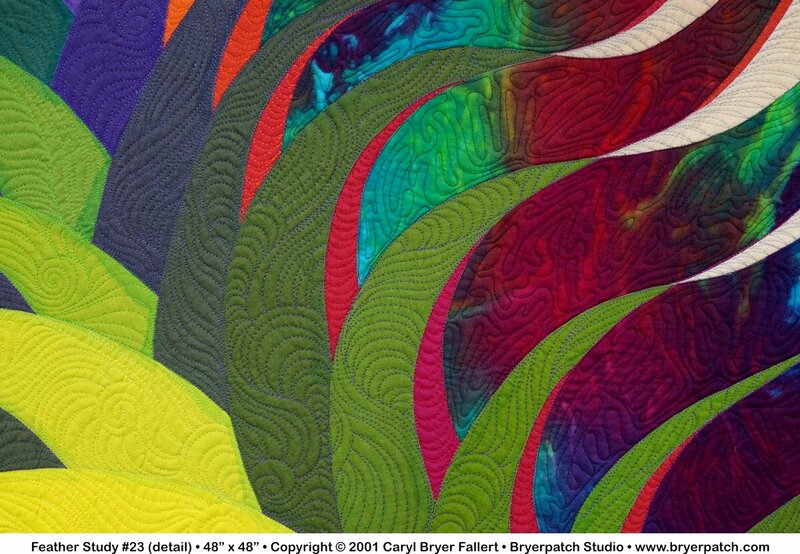 The quilting is done with many different colors of top stitching thread. 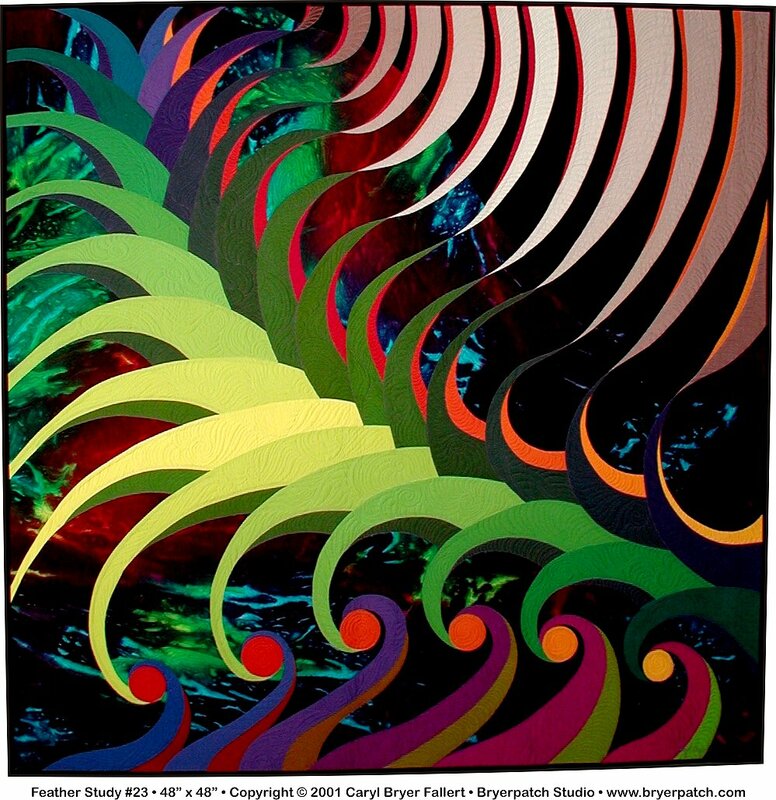 Silver Star Review: Quilt Festival 30th Anniversary Celebration, International Quilt Festival 2009, Houston TX.